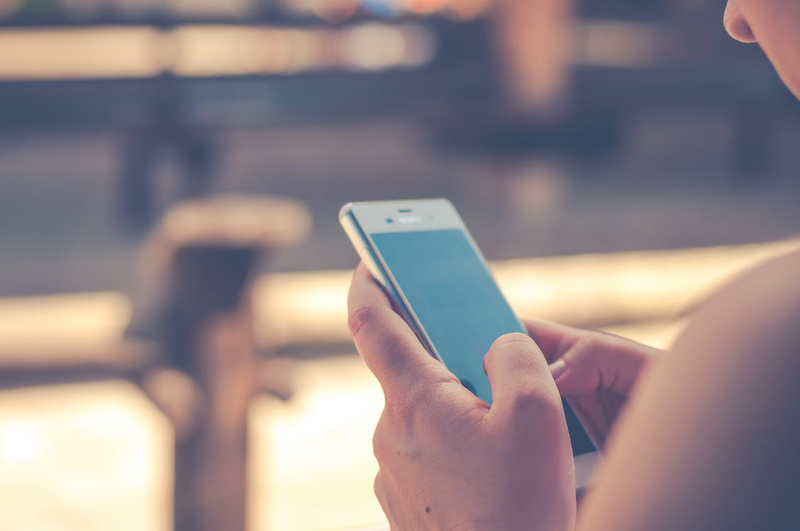 HMRC have sent out a reminder that taxpayer who submit their assessments before the 31 January deadline may still receive incorect communications from HMRC. 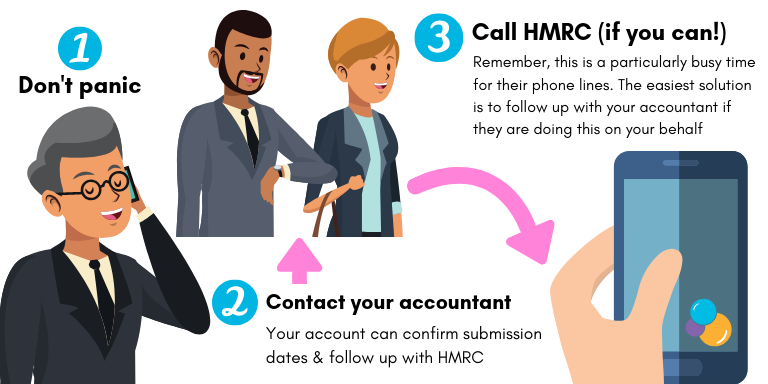 Find out what to do if this happens to you and how your accountant can help resolve erros created by HMRC's technical issues. As the January self assessment deadline draws nearer, the last thing you might expect is a faltering HMRC automation system. The truth is, we all know that technology can be a bit finicky (particularly during times where it is the most vital). HMRC is not immune to these sporadic glitches as they seem to be struggling with erratic system errors when it comes to penalties and payments. Mistakes happen and complicated issues arise; this is why it's important to have someone on your side that knows your accounts. Although HMRC's self assessment system has its benefits, the automation process is not with out extensive flaws. 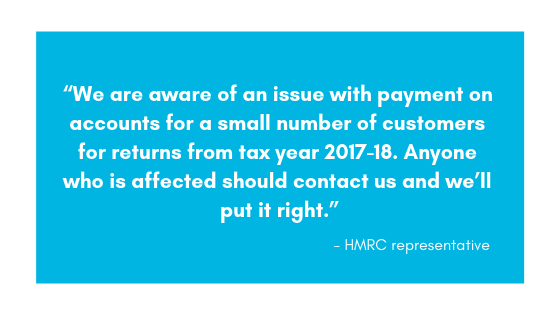 This tax season isn’t the first time that major issues have arisen for taxpayers submitting their returns on time and HMRC has been criticized in the past for faulty systems and their lack of communication with individuals affected. One of the first steps to be taken should you find yoruself in one of these situations is to contact your accountant for clarification and resolution. Receiving a £100 penalty fine or uncovering that your numbers don’t quite match up on your account would be enough to send anyone into panic mode and having an experienced professional who can submit and verify your tax return details, as well as resolve any discrepancies with HMRC will help relieve some of the burden. 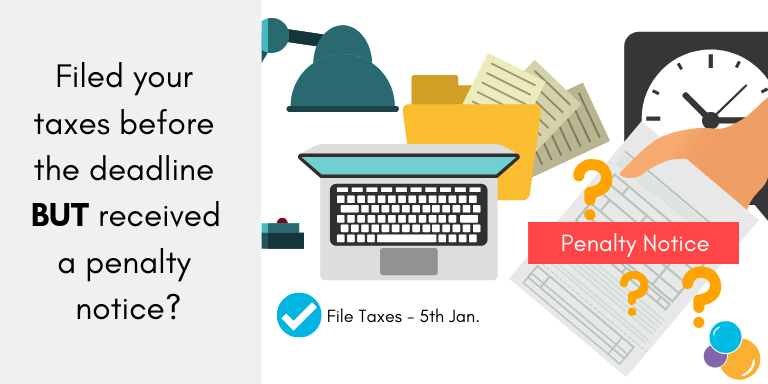 It is true, HMRC has set penalties for those who miss the 31 January deadline; however, some individuals have reported receiving a penalty notice for filing their tax returns late after they submitted their assessments well before the deadline. Once self-employed individuals submit their tax return, they will know what is owed; the next step is knowing how to pay and that's where payment on account comes in. Payments on account (POA) spread the cost of your tax bill into two instalments over the year. The process of payments on account at first glance may seem simple, it was introduced as a way for paying some of your tax bill in advance to prevent people being indebted to HMRC; however, the process can be quite intricate. To add another level of complication to this tax season, some taxpayers are finding discrepancies in their tax statements regarding payments on account. This has also proven to be an issue with some individuals and their capital gains tax (CGT). Contact your accountant and inform them of the error if they are not already aware. Your advisor can contact HMRC on your behalf to have the error manually corrected. Ensure you pay the correct amount of tax due, your accountant can inform you of this amount. Submitting your tax return information early to your advisor in order to provide sufficient time for planning and identifying efficiencies. Setting money aside regularly in order to fulfil your tax liability payment deadlines. It’s important that you work with a professional who has a comprehensive knowledge of your accounts so if a dilemma were to arise they would be well equipped to action a resolution. Your accountant should be an integral part of your organisation; offering advisory, strategy and risk management services to help you build a better business.